Shan Lu, MD, PhD, MHA is a pioneer in gene-based vaccines. In the last two decades, he has used the DNA vaccine approach to develop and optimize vaccines against HIV-1, bioterrorism (plague, smallpox, anthrax and botulinum) and emerging pathogens (SARS, seasonal and pandemic influenza), pathogens causing chronic infectious diseases (hepatitis viruses and h-CMV) and pathogens causing neglected infectious diseases, including diarrhea. His research has focused on the immunogenicity of selected antigens and the induction of protective antibody responses. His group developed and tested the first polyvalent DNA prime-protein boost HIV vaccine in humans, which elicited balanced T cell and antibody responses, including neutralizing antibodies against HIV-1 of different subtypes. He has published over 150 research articles in international scientific journals. He has served on the editorial boards of several leading biomedical research journals including Journal of Virology, Vaccine and lately as Deputy Editor-in-Chief of Emerging Microbes and Infections, which is published by Nature Publishing Group. 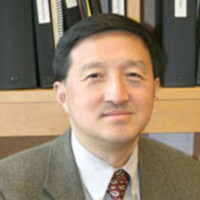 Dr. Lu is a professor at the Department of Medicine, University of Massachusetts Medical School. He is the immediate past president of International Society for Vaccines (ISV). He is a fellow of American College of Physicians and a fellow of ISV.